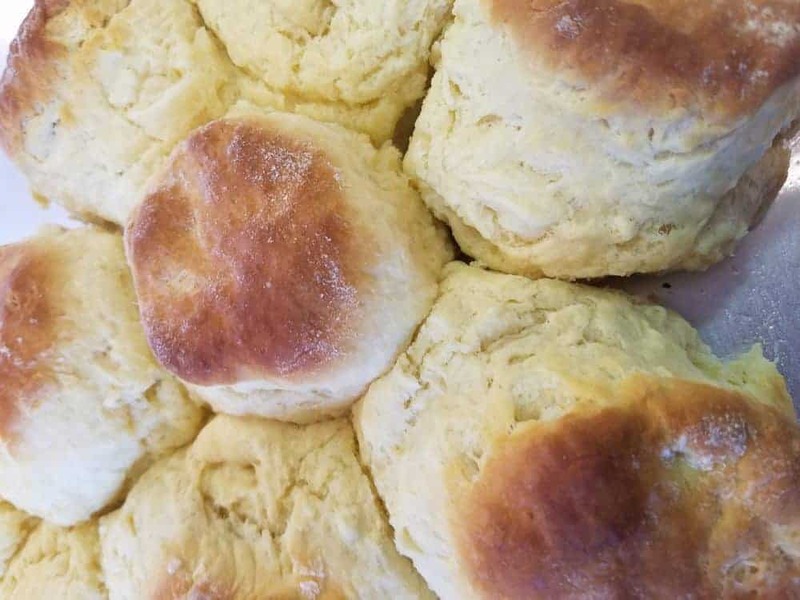 These Homemade Buttermilk Biscuits are made from scratch and are super fluffy and so good with some warm butter or fresh jam. I can still remember my grandma making these Mile High Buttermilk Biscuits for almost every meal. This recipe will make 8-10 large biscuits. NOTE: It’s important to use a sifter like this one to sift the flour for this recipe to come out perfectly. If you don’t have any buttermilk, you can always make some of your own with this buttermilk substitute recipe. Buttermilk is basically just regular milk with lemon or vinegar added to it. 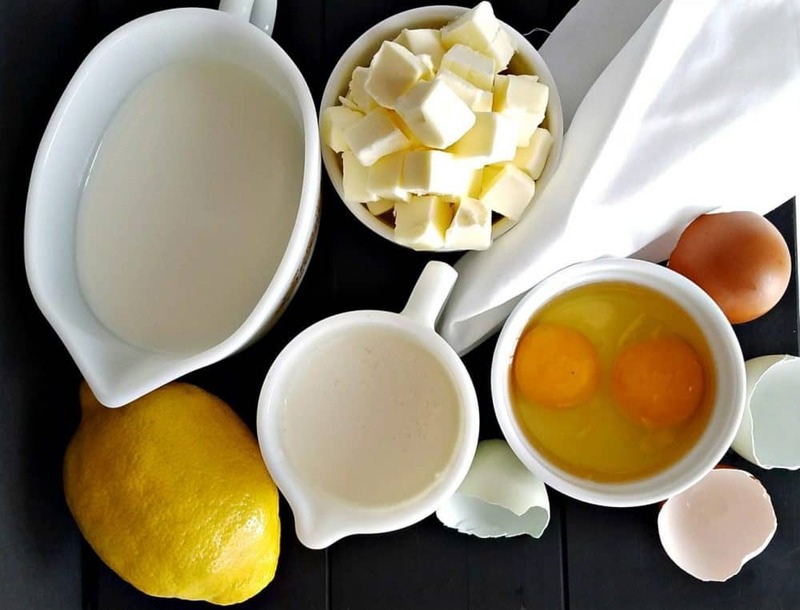 Just add 1 tablespoon lemon juice or vinegar to 1 cup of milk to make a cup of buttermilk. 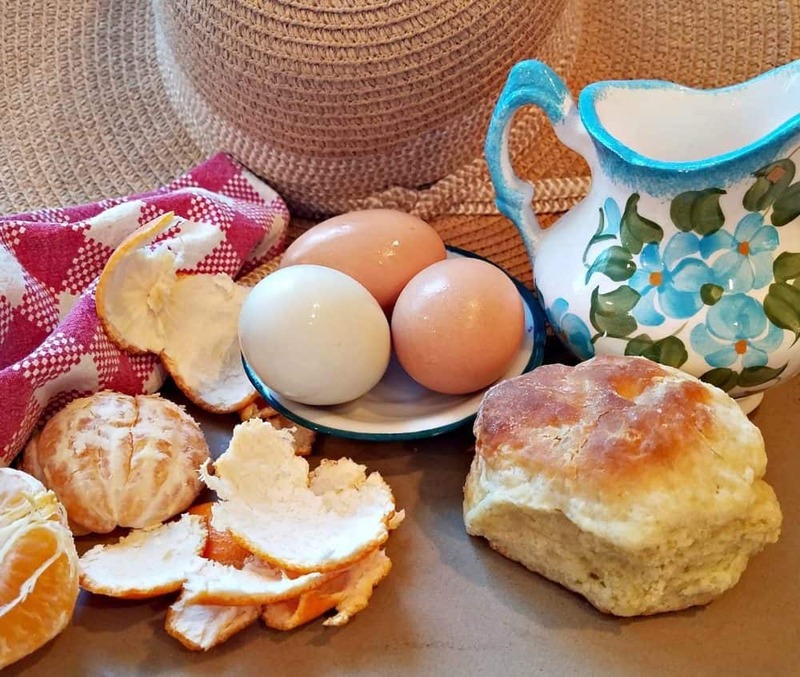 Buttermilk biscuits are so easy to make once you learn the basic process for making them. Buttermilk Biscuit Recipe Tip: Make sure that you are using cold butter as the recipe calls for. 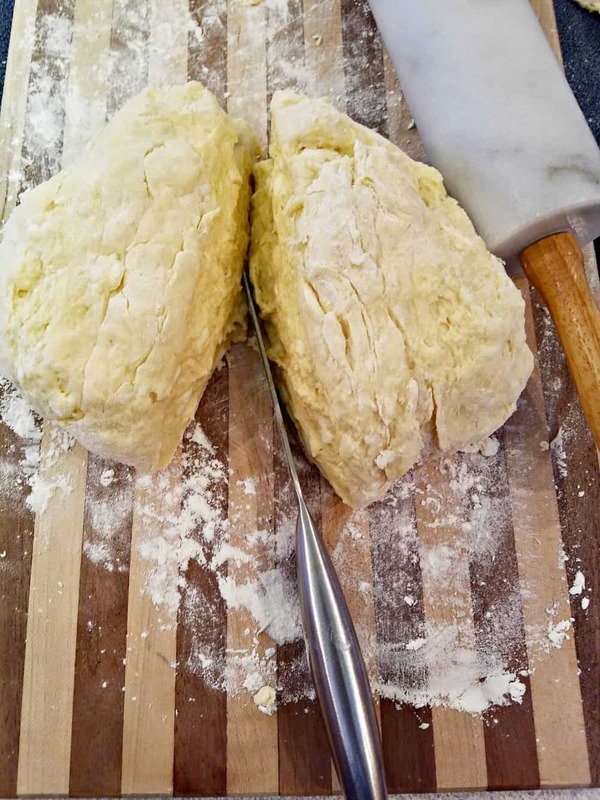 This is the secret to having your buttermilk biscuits turn out perfectly! 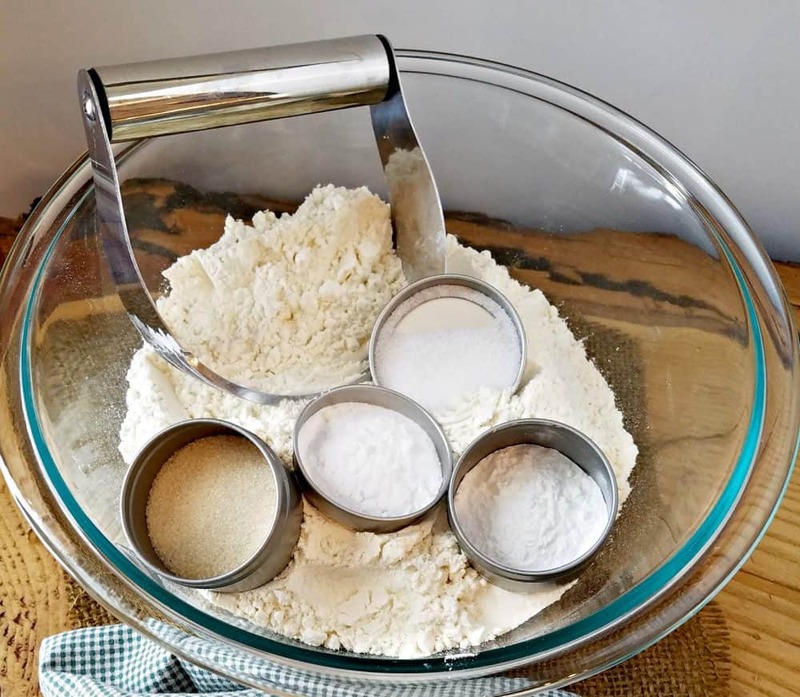 Combine flour, baking powder, baking soda, salt, and sugar in a mixing bowl. 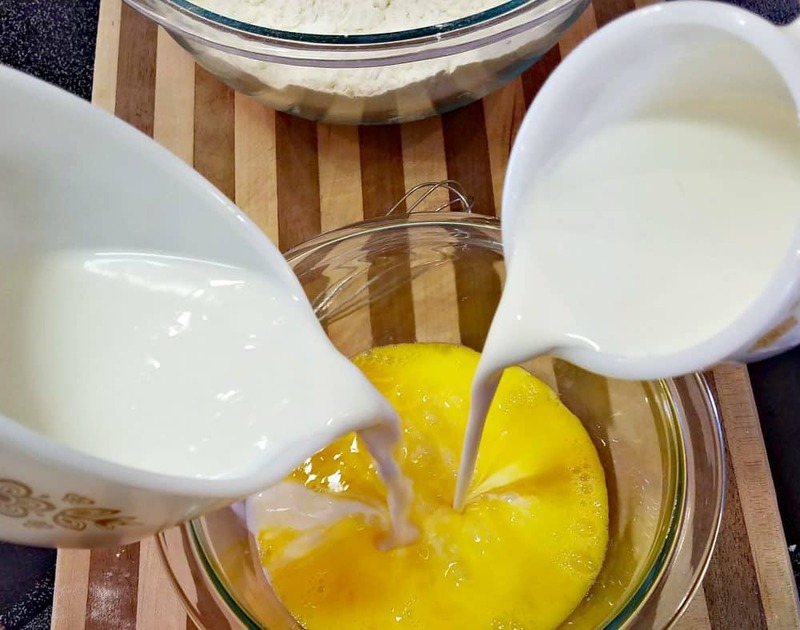 In another bowl whisk eggs, buttermilk and cream together. 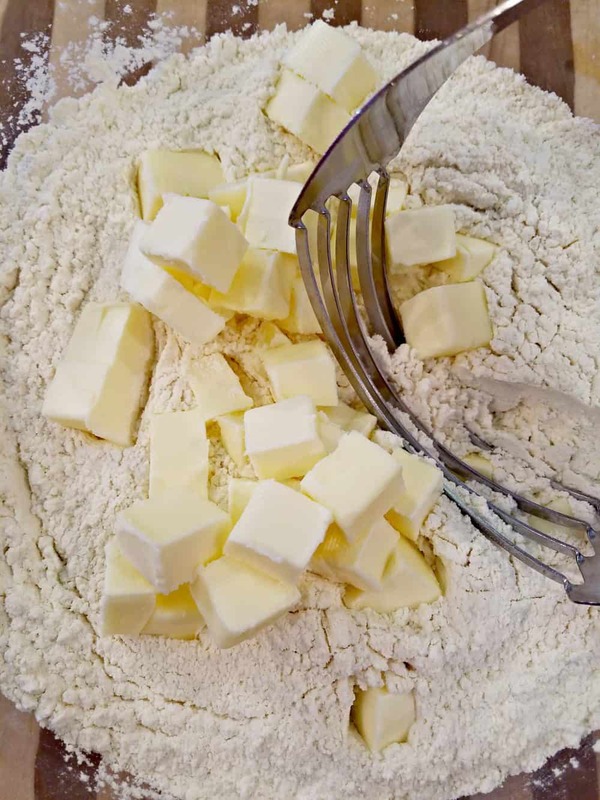 Using a pastry cutter , 2 knives, or your fingertips, add the cold butter chunks to the flour mixture until they are roughly the size of blueberries. 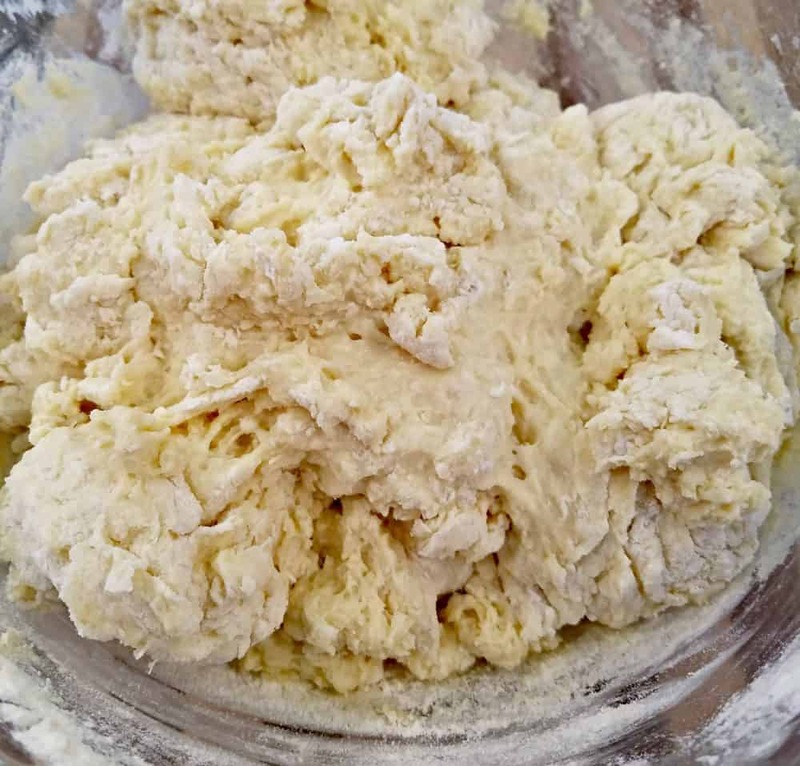 Mix wet ingredients in to dry ingredients just until the mixture forms a dough, be careful not to overwork the dough. On a lightly floured work surface, knead dough very gently for 1 minute or until the dough is smooth. 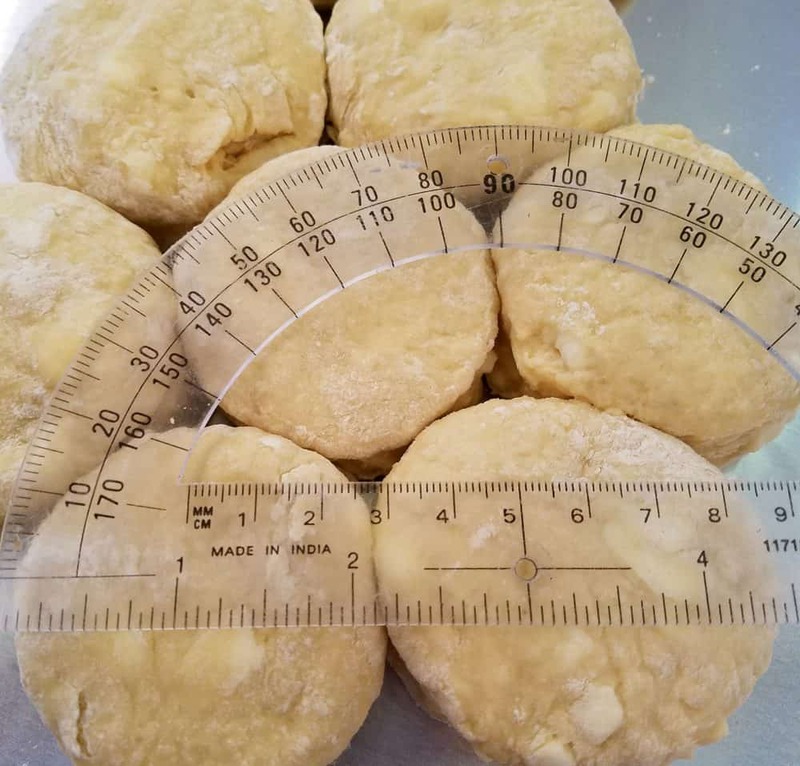 Cut dough in 1⁄2 and keep one 1⁄2 covered in the refrigerator while rolling and cutting. 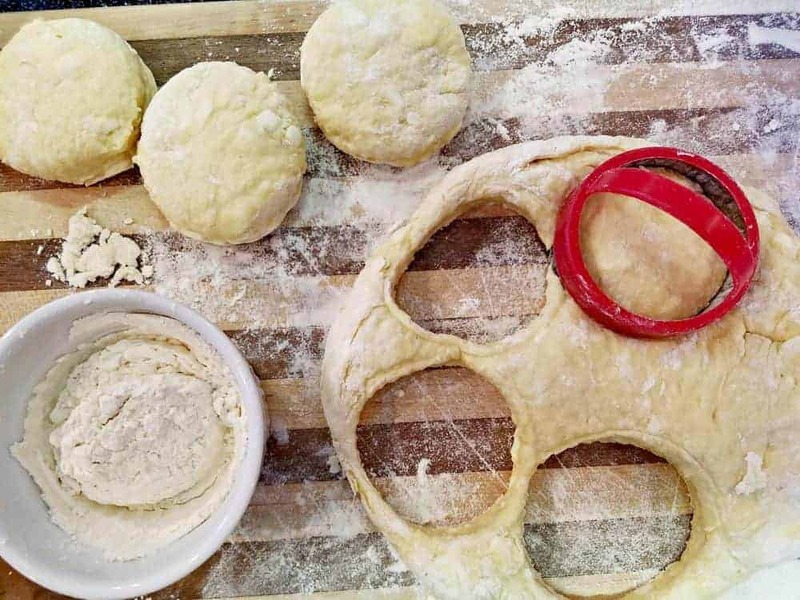 Roll the dough to approximately 3⁄4” to 1” thick and cut using a (dipped in flour) round biscuit cutter , heart shaped cookie cutter or glass rim. Gently knead scraps together and roll again. 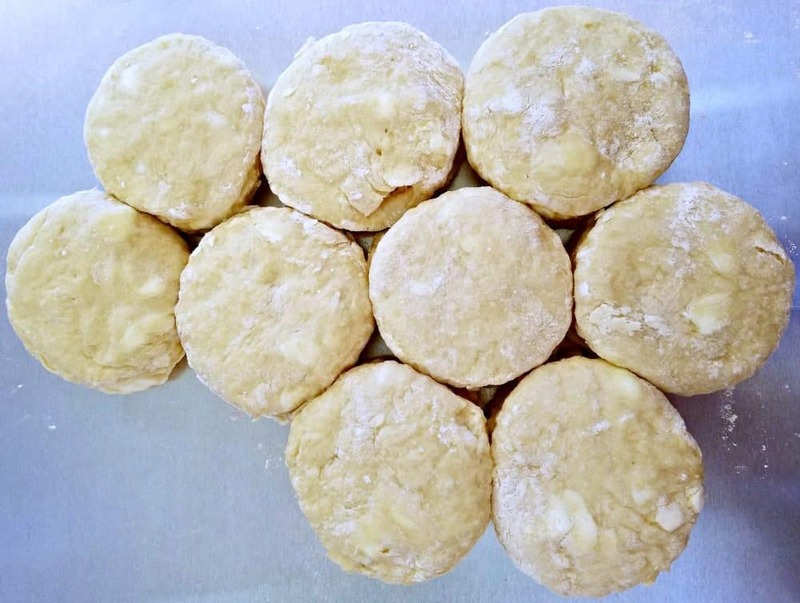 Biscuits should be placed on an ungreased sheet pan or baking stone with sides touching to encourage the biscuits to rise high. Roll and cut 2nd 1⁄2 of the dough. Bake at 425 degrees for 15-18 minutes until biscuits are golden brown and cooked thoroughly. Transfer biscuits to a cooling rack. This is when I would use a knife to cute them down the middle, halfway through. This creates a nice little pocket to add a bit of butter. Doing it while the biscuits are still warm allows the butter to melt and fill all of the fluffy crevices. I always added them to a bowl or basket and covered them with a kitchen towel to trap in the warmth until it was dinner time. These biscuits taste best when they are still nice and warm. the flour mixture until they are roughly the size of blueberries. dough, be careful not to overwork the dough. until the dough is smooth. flour) round biscuit cutter, heart shaped cookie cutter or glass rim. sides touching to encourage the biscuits to rise high. Serve warm with your favorite hot beverage. You can eat these plain or with some butter or homemade jelly. I love homemade buttermilk biscuits with butter. Adding the butter while they are still warm is the best! Yum, those look amazing!! Do you think that there would be any changes for high altitude baking? Oh, you are welcome 🙂 I am so glad to hear this! !